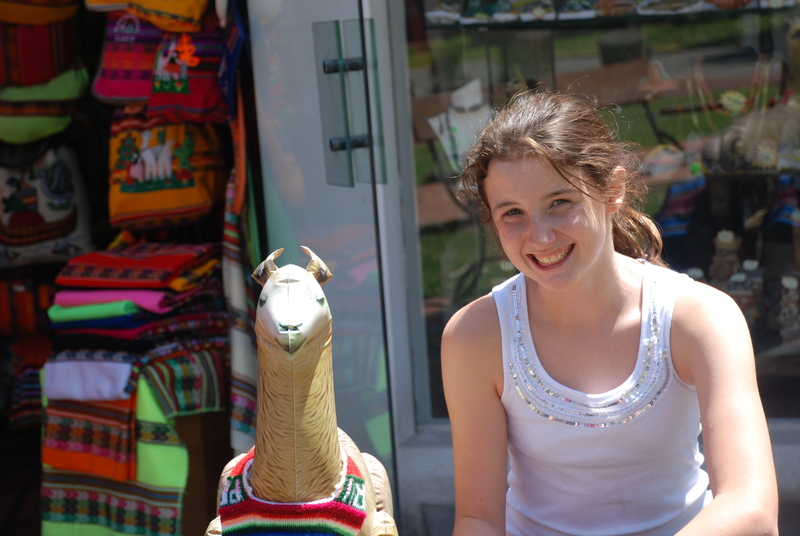 The following is a journal from our travels to Peru, with entries from Lauryn Parker (age 11), and Lauryns mom (age undisclosed). Friday March 30th 2:45 a.m. It was a rough start to our trip and a little hard waking up. Our driver showed up with a car to small for all of our luggage so they had to send for a bigger car. We were very late for the flight and ended up running to the gate, but in the end we got on the flight on time. 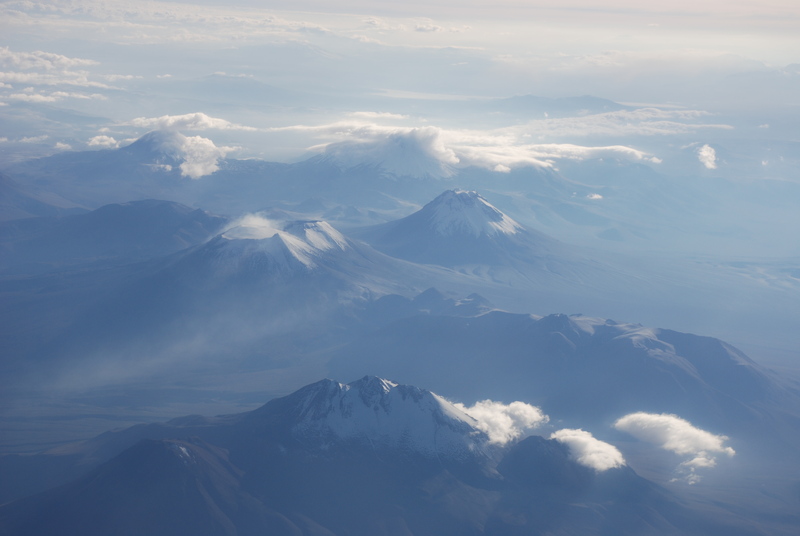 Once we got close to Peru, the view from our window was incredible. After a 4 hour and 40 minute flight we arrived in Lima. We met our guide and went straight to the Museo de Oro (Museum of Gold). The ride to the museum was interesting and sad. 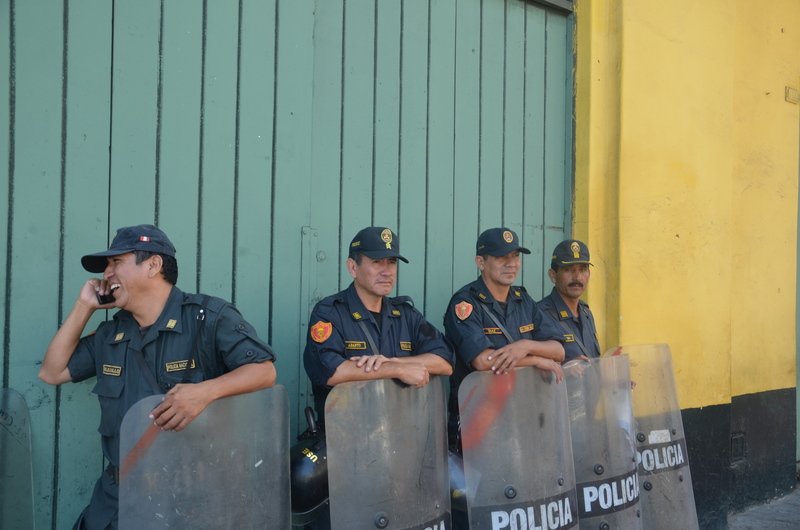 We were told that there is 20% unemployment in Peru so we saw so lots of poverty. There were people on the highway selling anything they could to survive, anything you could imagine, food, hair accessories, flowers, phone chargers, anything! We were surrounded by shanty towns and it made us feel very thankful for our blessings. On our way to the museum we drove by the American Embassy and the America School, Franklin D. Roosevelt, they were very nice. Once we arrived to the museum we were surrounded by gold Incan artifacts. The artifacts were found throughout Peru and were beautiful and so sophisticated considering they were made so many years ago. 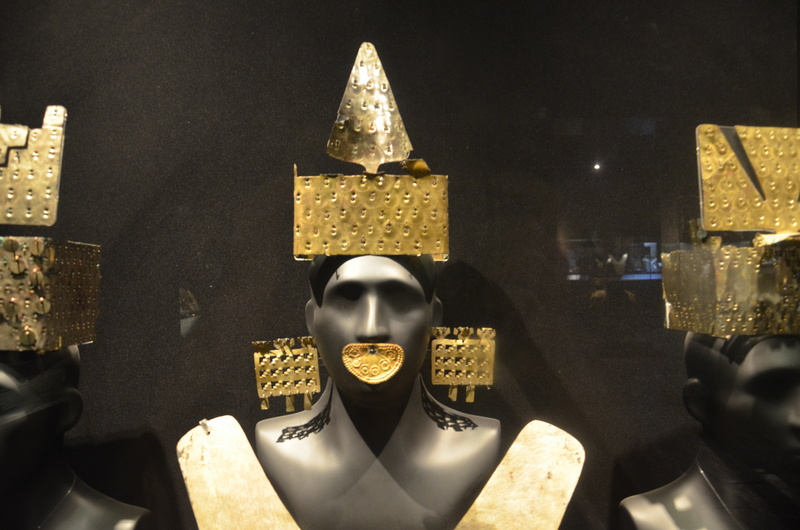 Gold was very important to the Incan culture. The gold was used for beautiful headdresses, earrings, and nose rings. 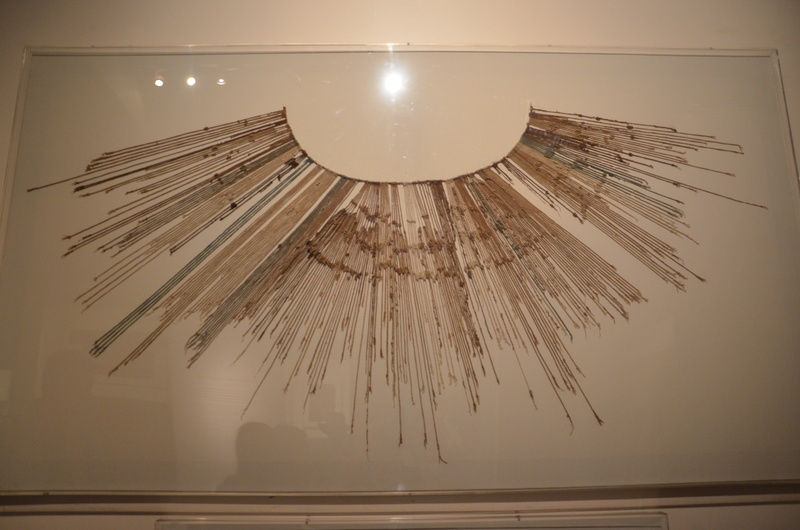 When the Incan kings spoke to their people, they would wear large nose rings to cover their expressions. Say for example a king was nervous and laughed at everything the nose earring would cover his expression and make him appear more royal. Also in the museum were real Incan mummies (we were not allowed to take pictures of that). 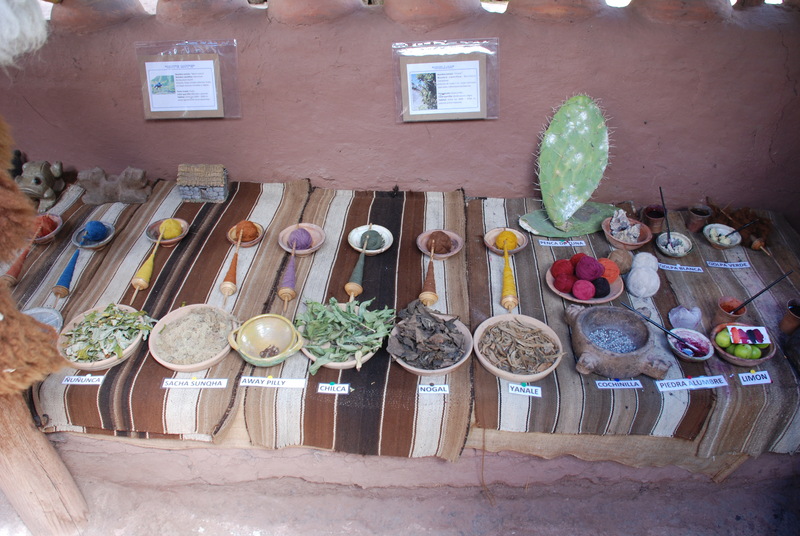 They used cocoa leaves to preserve their bodies and wrapped them in cloth made from llama. Interesting fact, the Incans believed in a theory called the life after death, reincarnation. When the great tribe leaders died, they were wrapped and buried in the fetal position so they could easily come back to life. These lords also brought everything they owned, including their servants and wives with them to the grave. Sadly, the poor wives and servants were buried alive with him as they believed they would have all their belongings in their next life. We also learned that life in the Inca world included human sacrifice of mostly women and babies and sometimes men who failed during a battle. But we learned later from our Peruvian guide that most modern day Peruvians believe the Incans did not practice human sacrifice, interesting debate. We then bought Reese’s Peanut Butter Cups in the souvenir shop because we cannot buy those in Argentina, Lyndsey and I were very happy. There are 9 million people in Lima so it was very crowded getting through the city. We went to dinner at a place our tour guide suggested. 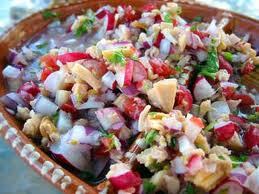 Mom loves ceviche so she made us all try it. It is fished cooked in lemon juice, the acid from the lemon juice is what cooks the fish, it was ok but mom loves it. We then had salad with quail eggs and lomo (beef) cooked with papa fritas(french fries) and arroz (rice) y tomatos, atun(Tuna) con ensalada (salad), y tacu(traditional Peruvian dish). Trust me it was good. 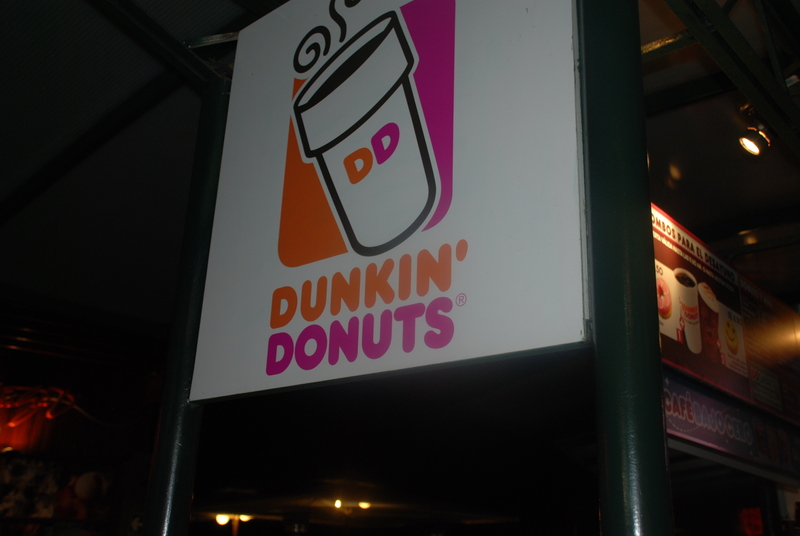 After that we took a cab to the coast line and had Dunkin Doughnuts since there are no doughnuts in Argentina. We saw lots of alpaca and llama things as there are lots of them in Peru. The shops on the cliff overlooked the beautiful ocean, it was so clean, they pay a lot of people who would not have jobs otherwise to clean the streets, so it is much cleaner than Argentina. Across the water we saw a lit up cross on a mountain. Nice weather here in Lima Peru, it never rains, and I am not just exaggerating, when it rains it drizzles it’s not even rain, it’s just from the humidity and breeze from the ocean. When it starts to get hot the wind from oceans makes a nice breeze so it is never too hot. 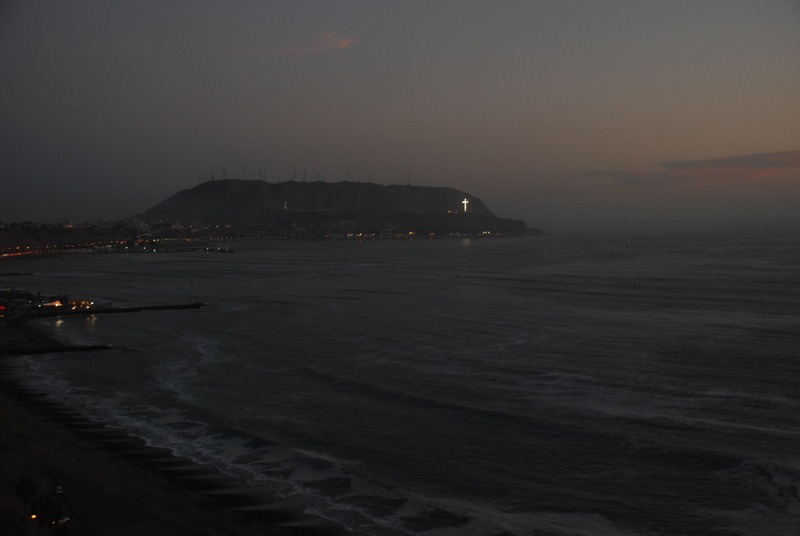 I like Lima, Peru. 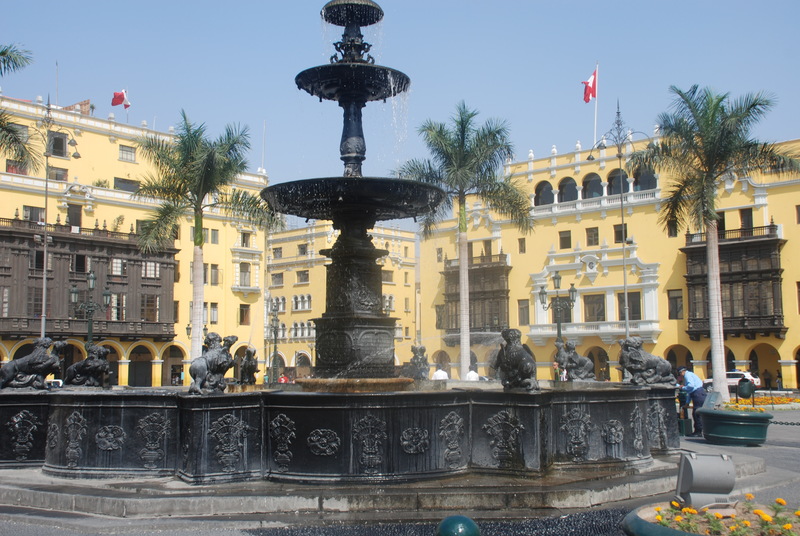 Saturday March 31st 9:00 a.m.
We slept in a little and then met our guide in the lobby of our hotel and set out for a tour of historic Lima. 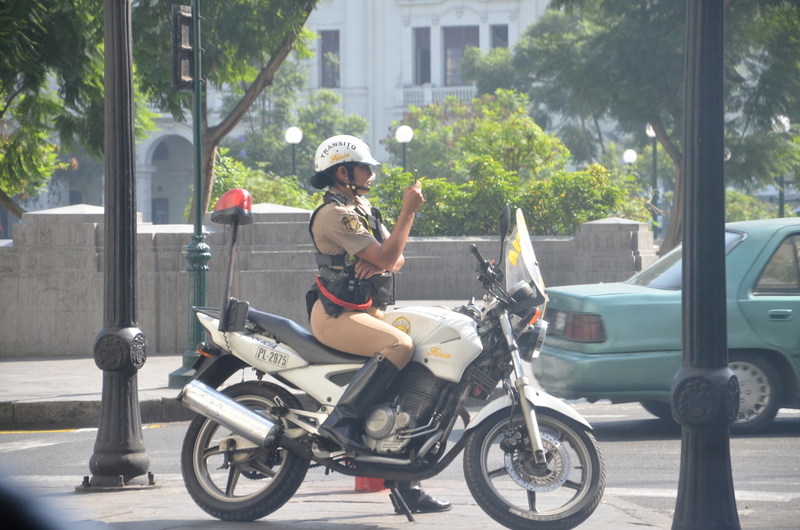 We continued to notice how clean the streets were in comparison to the Latin American city we live in, and we spent the day taking in the local city culture. Our first stop was the San Martin plaza. San Martin freed Argentina, Peru, and Chile from Spain. I learned about him in my Spanish Social Studies class because he is originally from Argentina. He was an Argentine general and the prime leader of South America’s fight for independence from Spain. 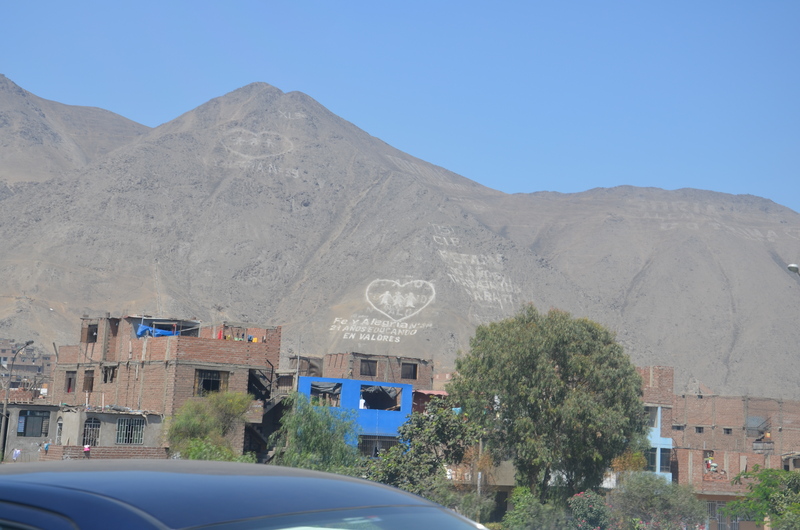 We have seen monuments of him in Peru, Chile and of course Argentina. 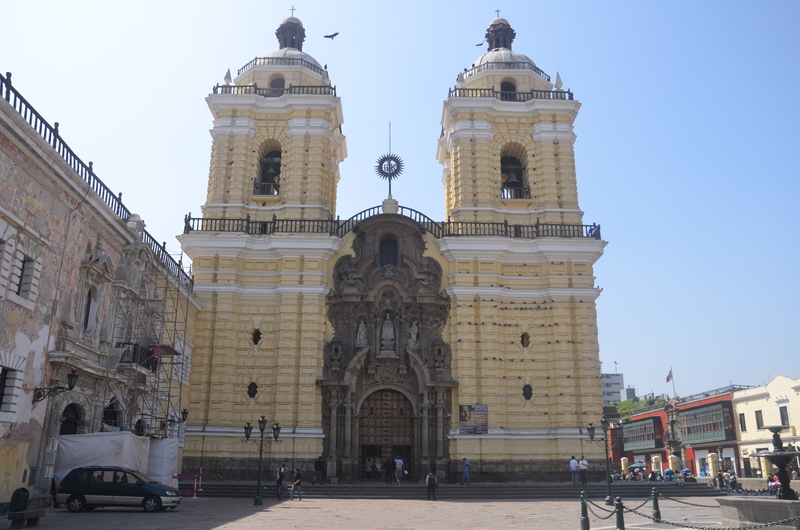 In the heart of the plaza is San Francisco church. My mom’s guide book said to visit the catacombs in this church and our guide had it on the schedule as well. So we went to visit the catacombs of San Francisco. Do you know what catacombs mean? We did not! 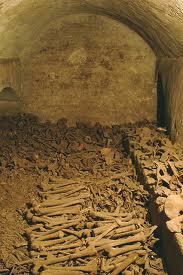 Catacombs are passageways under a church for religious practices and a burial place. We were shocked to see 70,000 buried bones underneath the church, we did not really think we would see actual bones, and they assured us they were not pretend. We were very eager to leave the catacombs. But it was interesting to know that back when people were buried in the catacombs, everyone was buried there no matter, how much or how little money you had. We went to one more Incan artifact museum before heading to our hotel for a break. 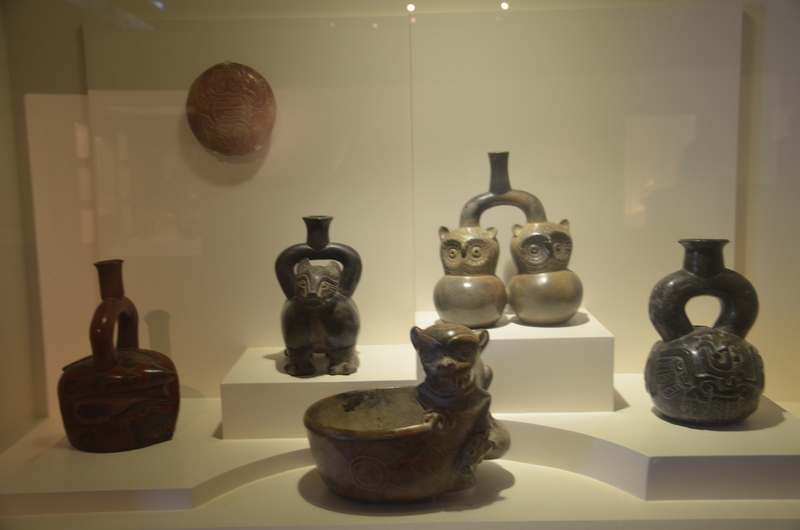 The museum had beautiful artifacts and we learned a few facts before our flight to The Sacred Valley and Machu Picchu. The Incas originated as a tribe in 1200 B.C. 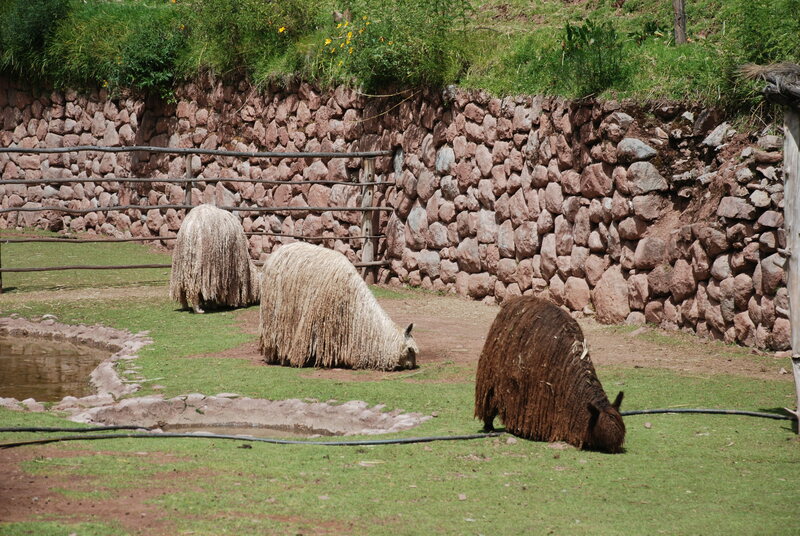 in the Cuzco area of southeastern Peru. However, in 1438 A.D., under the command of Pachacutec, the Inca people defeated the neighboring Andean tribes and laid the foundation of the Inca Empire. 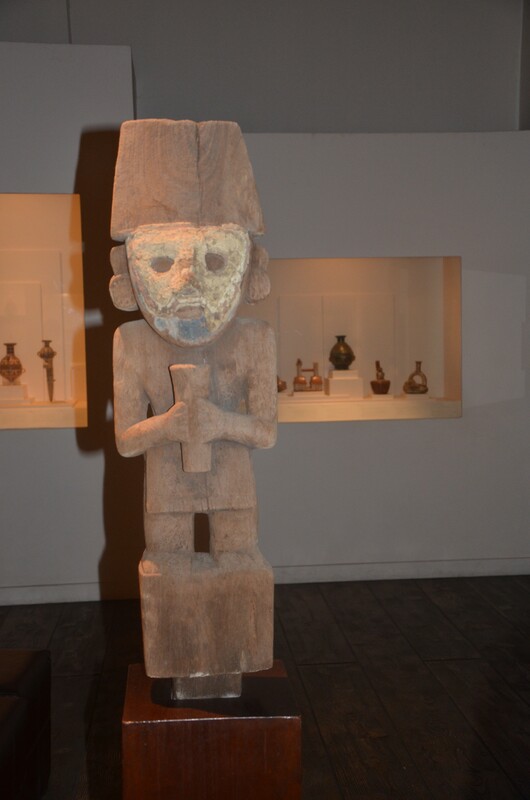 The Peruvians love Pachuacutec, he is very important to their culture. The Incas did not know the art of reading or writing. They passed on their knowledge orally. They kept records by means of a quipu which was a series of long, knotted strings. Mom wanted to buy something like this to hang in our house for a souvenir but never found anything. 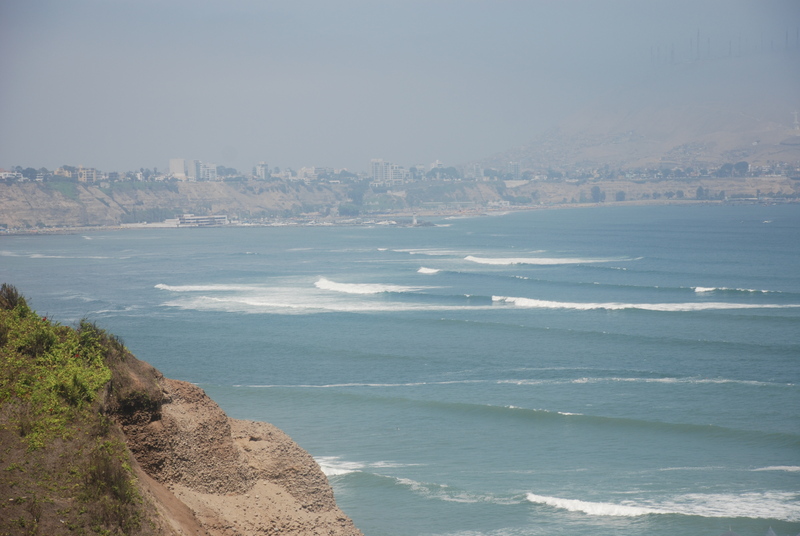 After our trip to the museum we went to visit the Lima coast line. It was very beautiful, but way to cold for swimming as this location of the pacific ocean has a water current coming from the Arctic Ocean. We saw lots of surfers with the huge waves, but they had on wet suits to protect them from hypothermia. 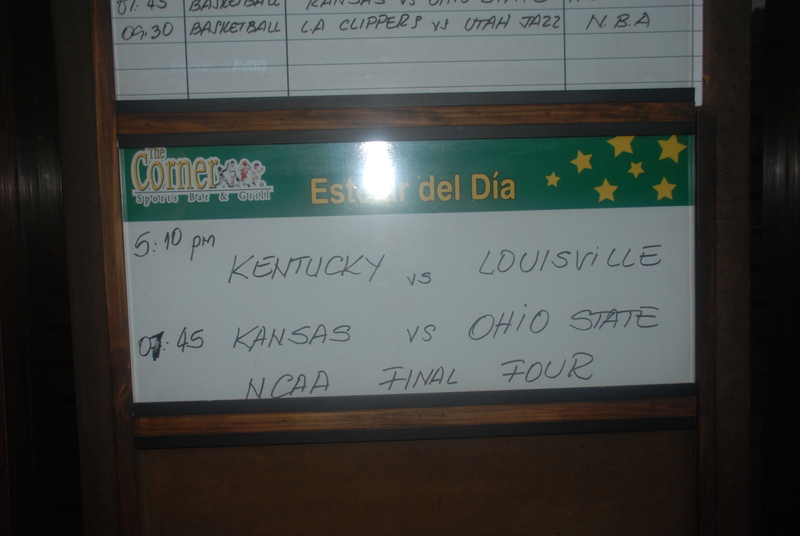 Its important to mention that on this night we worked hard to find a restaurant that would be showing the OSU game. We were in luck as there was an American sports bar that served mediocre American food but the game was on and there were lots of US military people there as well. We had fun, but were sorry to see the buckeyes lose. Sunday April 1st 7:00 a.m.
We met in the lobby at 7:00 a.m. and made our way back to the airport where we would be flying to Cusco. 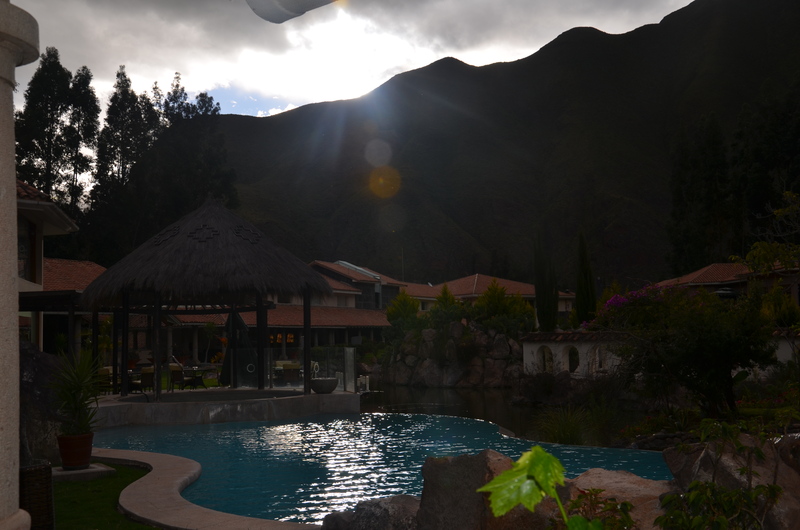 Cusco was the capital of Tahuantinsuyu or the Incan Empire and where our journey would begin. 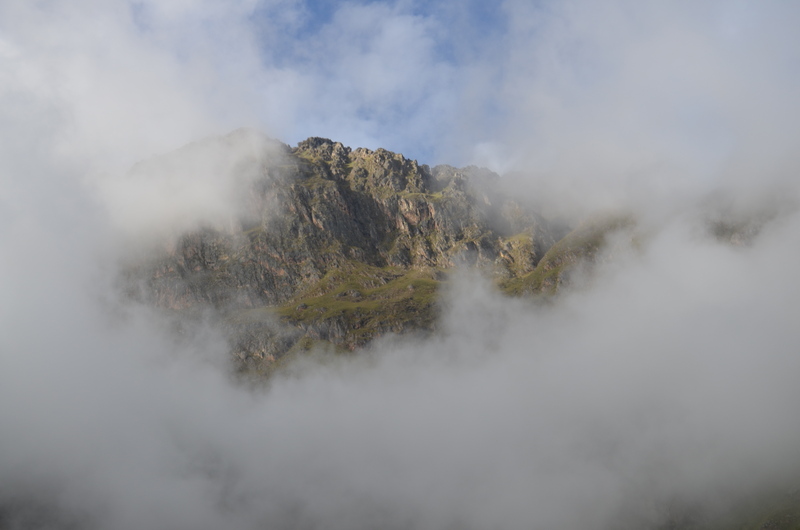 The plane ride was very quick and as we came out of the clouds we saw the most beautiful mountains we have ever seen. Very high peaks with lush green grass and granite surrounded at the top by clouds, the mountains are so high they touched the sky. We were met by our guide and we set out to tour the Sacred Valley before going to our hotel in the Valley, we would be coming back to Cusco later. 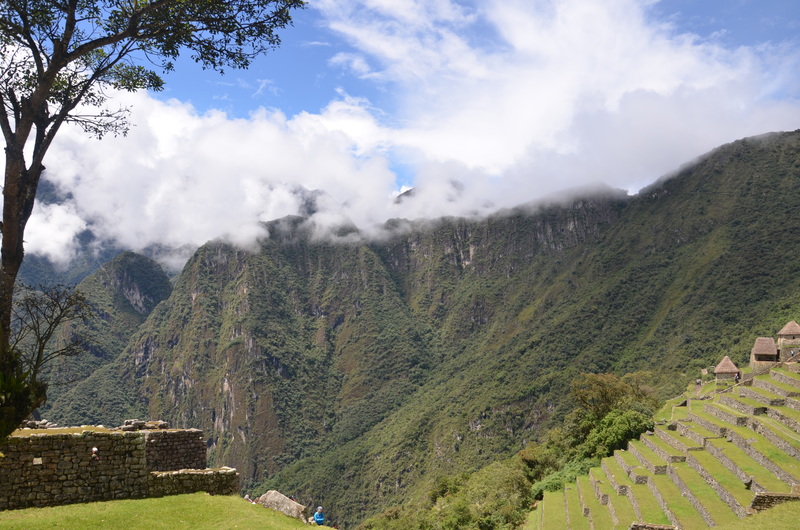 The Sacred Valley of the Incas or Urubamba Valley as we also heard it called, is a valley close to the capital of Cusco and below the ancient sacred city of Machu Picchu and contains many archaeological remains and villages, to many for us to see them all. 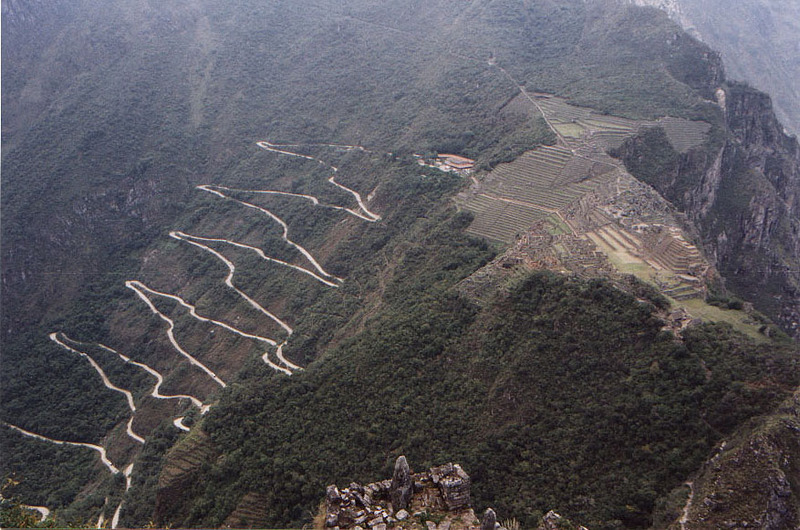 For the Inca’s it was and still is an agricultural gold mine. 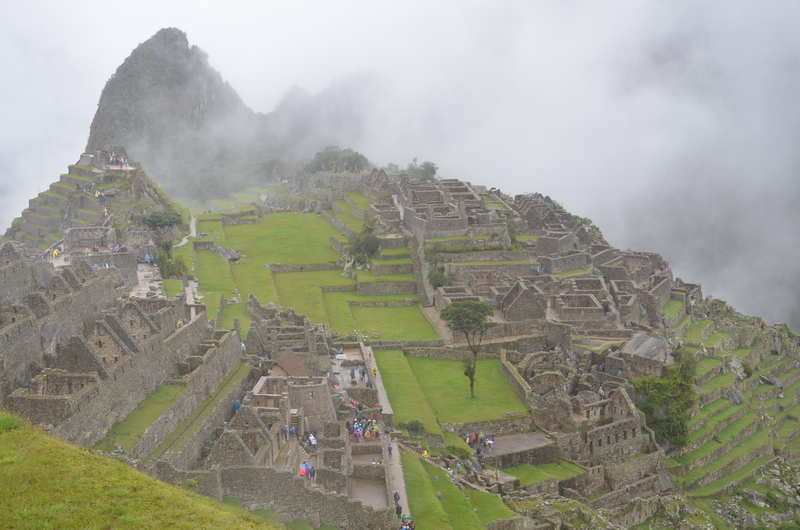 Perfect climate for growing anything and as we learned on our trip up to Machu Picchu, they fully utilized all the different levels of altitude for growing different varieties of agriculture. 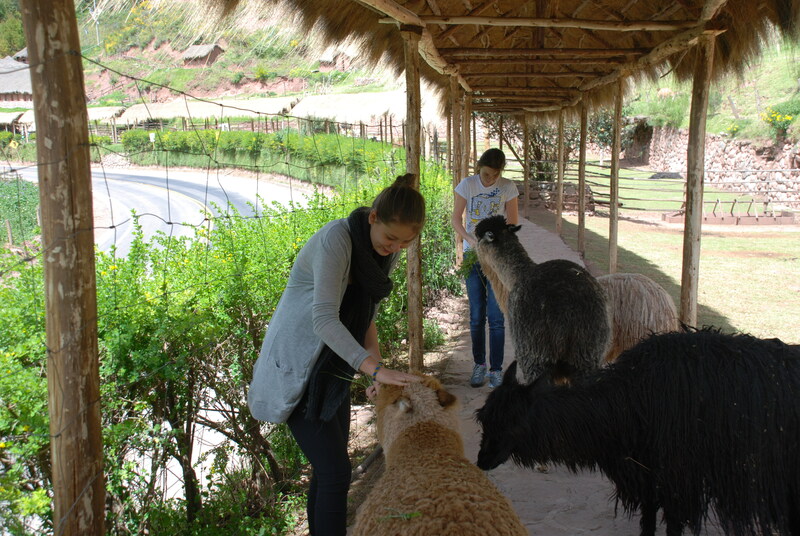 So Our first stop was a Llama-Alpaca farm that had all the different species. Alpaca’s are what is used for textiles as it is so soft and strong. 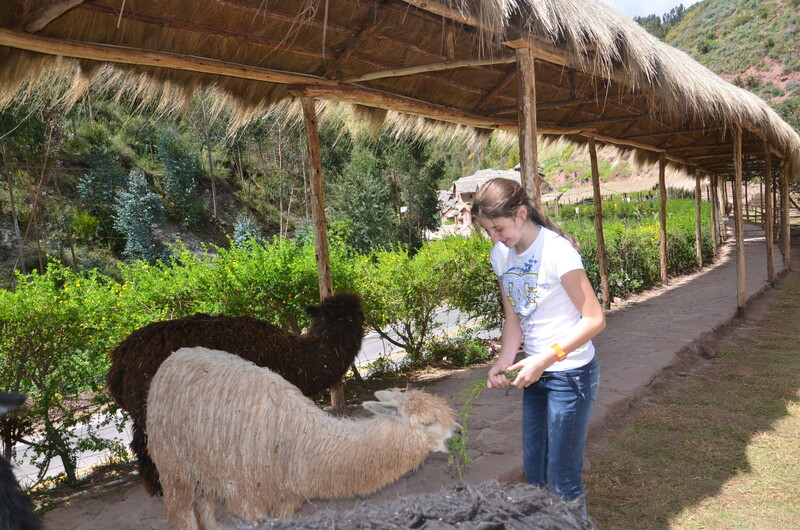 We met two alpaca species including, Huacaya (wah-KI’-ya) and Suri (“surrey”). They are so soft and fluffy, you just want to hug them. Our guide gave us special grass to feed to them and they were attacking us, they were so sweet. Dad stuck his hand into the side of one of the llamas fur and the fur covered his hand all the way to his wrist it was so thick. The entire way to the farm everywhere we looked we saw authentic indigenous Peruvian people, wearing colorful ponchos carrying their babies and supplies on their backs. From their incan ancestors they believe in hard work and honesty. They are very skilled and use the land for everything they need. 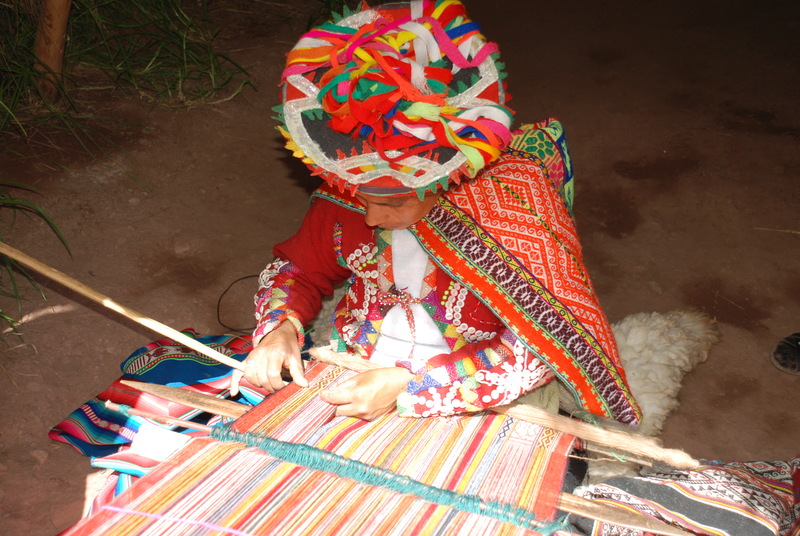 At the Alpaca/Llama farm we found women weaving amazingly beautiful rugs and tapestries from Alpaca, they use no pattern, just the knowledge passed on from their ancestors. 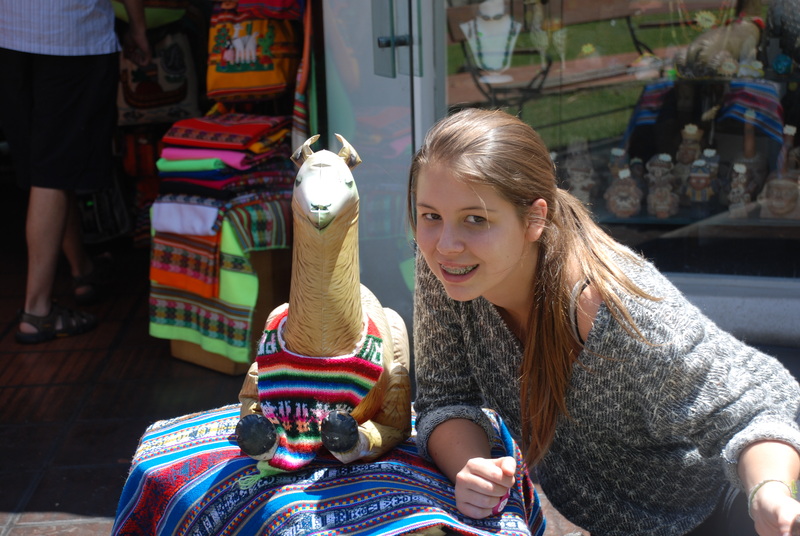 We learned how they weave the thread from alpaca fur the finest wool, not the llama. More amazing was how they colored they thread from plants, insects, and flowers to create magical colors. It is unbelievable how they can create such beautiful patterns and creations completely from nature and nothing to guide them but history. We were amazed to see how the Incans were so smart and how they lived there life from strategies past on from generation to generation. The Incan philosophies were so genius, that many of them are stilled used today. Seeing people make the blankets and the scarf’s made me think that there life was simple but they had great resources in ways that I could never imagine, making paint out of insects, building terraces out of these not so strong rocks for perfect farming and they are still in place today and just living completely in the mountains with no grocery stores, or shopping malls, and they are happy, living this life. Before going to the hotel we made one more stop at a rescue center for animals. This organization had rescued llamas and pumas that were being displayed at nightclubs and were addicted to drugs when they rescued them. They are working to get the animals back into nature but if they cannot survive on their own, the rescue farm will continue to care for them. 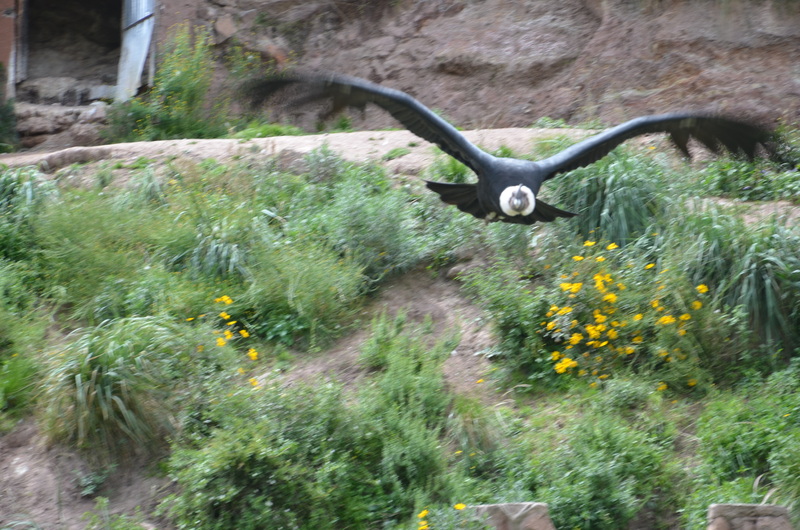 They also had a condor, it was so huge and amazing. it is the American eagle of south America and at risk of extinction as well. 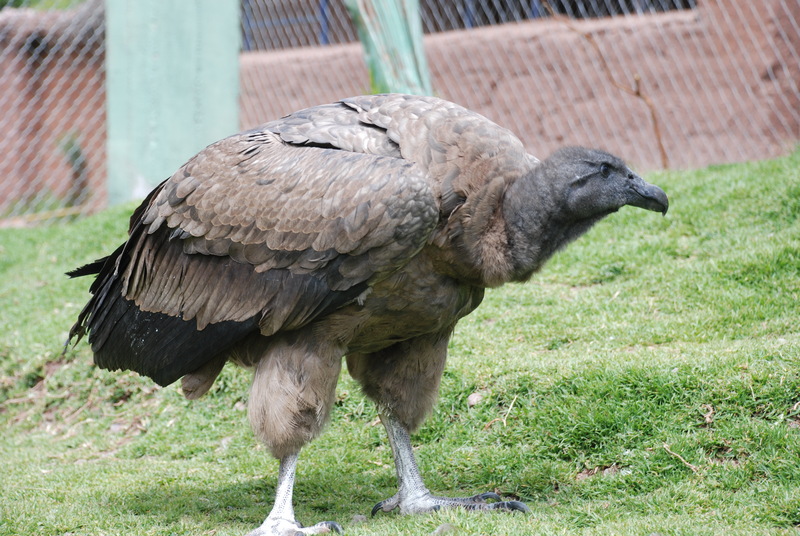 They are huge beautiful birds but are not seen much in more in the wild of the Sacred Valley. At the rescue site they were currently caring for four birds. We were very lucky when they decided to feed the birds during our visit. The caretakers put the food behind us and to get to the food, they had to fly over our heads. It was amazing, we all covered our head as the birds flew over us theyappeared to be coming straight at us, but they were really only interested in the raw meat behind us. After an early flight and day of site seeing, we stumbled to our hotel. Mostly what we saw throughout our tour were makeshift homes, and crumbling buildings, so we were not sure what we would encounter as we headed down a long and very bumpy dirt road. We were definitely not disappointed; two huge wooden doors greeted us, and inside was a beautiful resort. The lobby had huge stain-glass windows and you needed a golf cart and a map to find your way around. 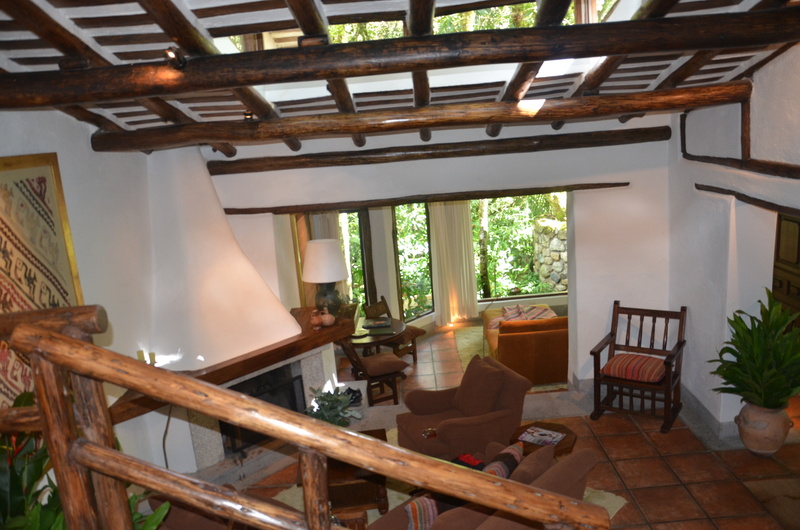 It was originally a wealthy family’s enstancia (ranch) that has now been converted into the Arwana Resort. We had a wonderful dinner and then went straight to bed as they next morning we were to be up by 400 a.m. to begin our trek to Machu Picchu. 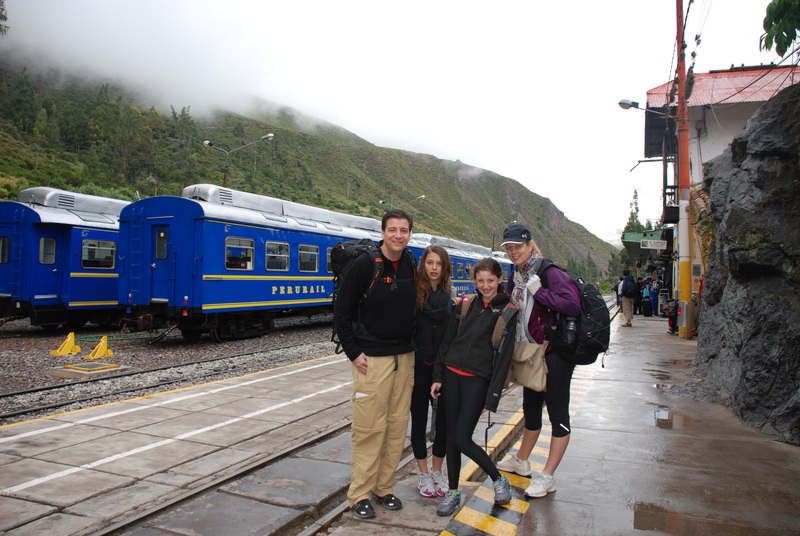 Monday April 2nd 4:00 a.m.
No one was moving very easily at 4:00 a.m. but we forced ourselves out of bed as we still had a 45 minute drive to the train that would take us to Aguas Calientes, the base of Machu Picchu. After a hurried breakfast we once again met our guide and were excited about the adventure ahead, but were still exhausted from early mornings and restless nights. We arrived at the train and thank goodness for our guide as he handled every detail, he literally just pointed us in the right direction. We found our seats on the train and it took off shortly after. They move the trains out quickly as they are bringing thousands of people to and from Agua Calientes. 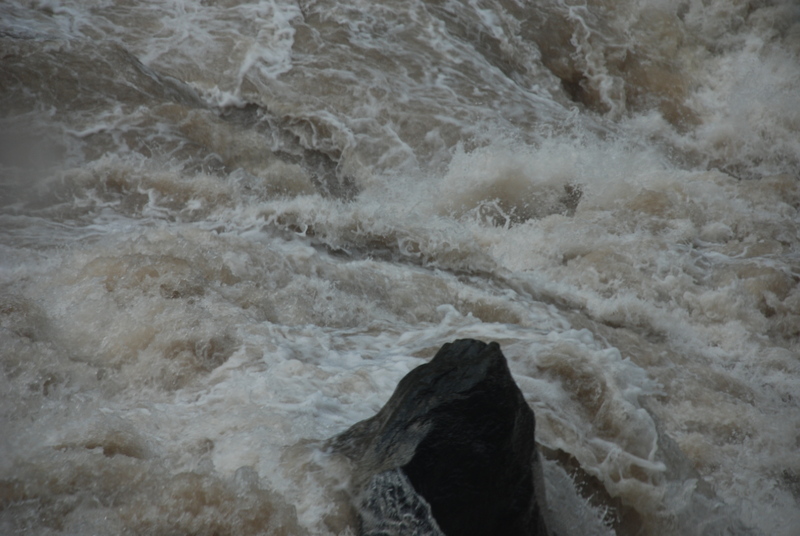 The trip to Agua Calientes was breathtaking, the river was bursting with water and we were told way to difficult for rafting, you could see the rocks and the water currents would not show anyone any mercy. The landscape quickly changed from green and rocky, to slightly more lush and tropical. A few hours beyond Machu Picchu and you will find yourself in Amazon territory complete with all deadly snakes you would expect to find in the Amazon, The Incan’s knew exactly where to live safely and securely while having the best climates and altitudes for their sophisticated farming. 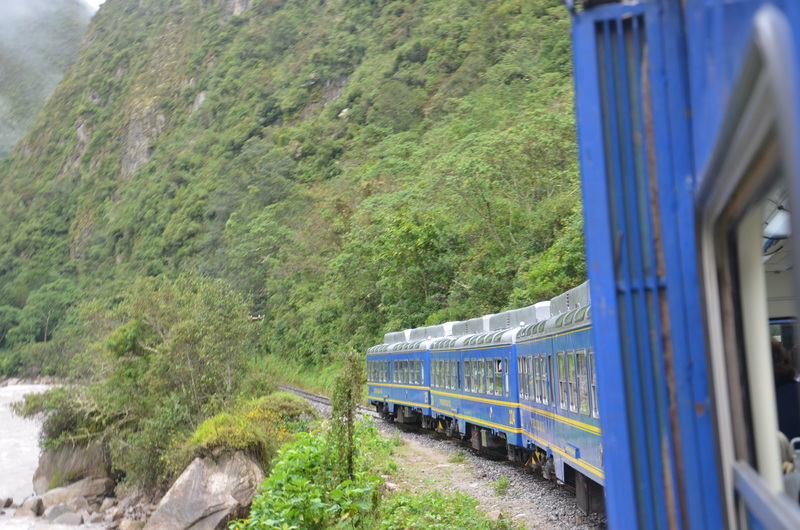 Once the train stopped, we did not waste any time making our way quickly through the town of Aguas Calientes to our bus stop that would take us to the top of Machu Picchu. As it was 6:30 a.m. in the morning, the town was quite and there were no lines. Later in the afternoon when we saw the huge crowds of people, we realized how smart our guide was to have us take the earliest train. As we made our way up the winding road, we busied ourselves with conversation so we would not be tempted to look down. Buses make their way up and down a one lane dirt road. Looking our out window literally caused us to scream, we were so close to the edge. When we had to pass another bus, we all held our breath and prayed. Finally we were at the top and we were very thankful. 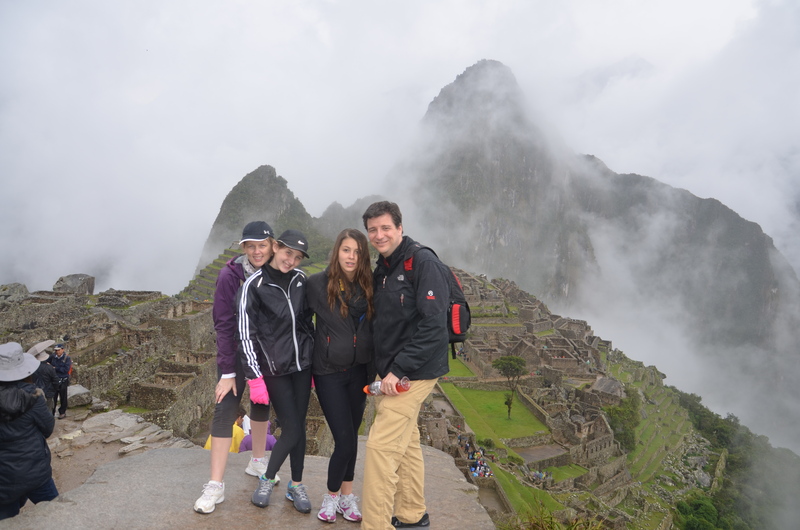 As its the rainy season, we greeted Machu Picchu with heavy clouds to the extent we could not see anything in front of us. We made our way through the gates, and we had to show our passport with the stamp of our entry into the country and our entry ticket purchased months in advance, as they limit the number of visits into the site. Groggy and tired we started our climb, immediately we were instructed to walk up a steep hill that took my breath away half way up. At the top we were gasping for air and searching for our guide, the clouds were heavy and we could not see much. We were looking towards the mountain in the front of Machu Picchu when we noticed the clouds were shifting, all of sudden you heard gasps from the crowd, as the clouds had shifted, and right there in front of us in all its glory was Machu Picchu, it was all we anticipated and more. 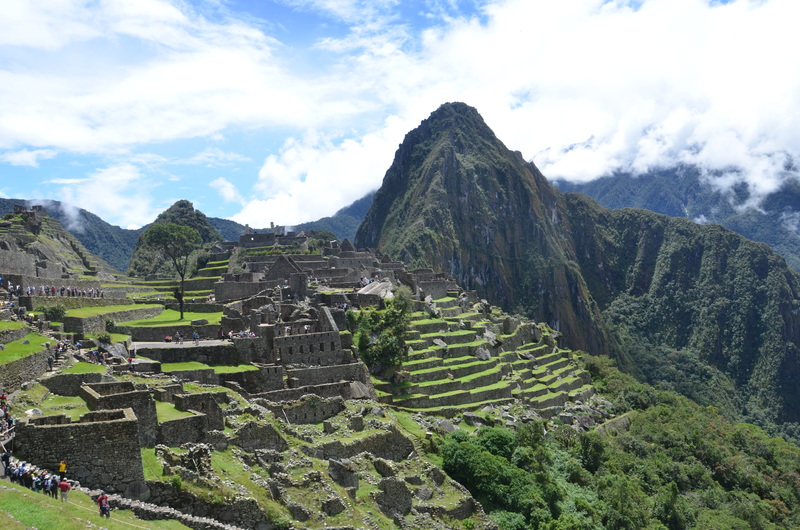 Built around 1400 AD, and often referred to as the “Lost City of the Incas” it was so brilliant. Although some restoration has been done, it was so amazing how intact the site is after so many years. They design it so intelligently that rockslides and time could not destroy what they created. It is hard to explain the detail that went into each structure and how magnificently each rock fit together to the point you could not even slip a credit through the stacked stone, it was so perfectly designed. No machines or modern technology, but they managed perfectly engineered structures. Some say the Incas’ art is lost, and many scientists have tried to explain how the stones were transported, cut, fitted, and lifted, but they only have theories, no real answers. 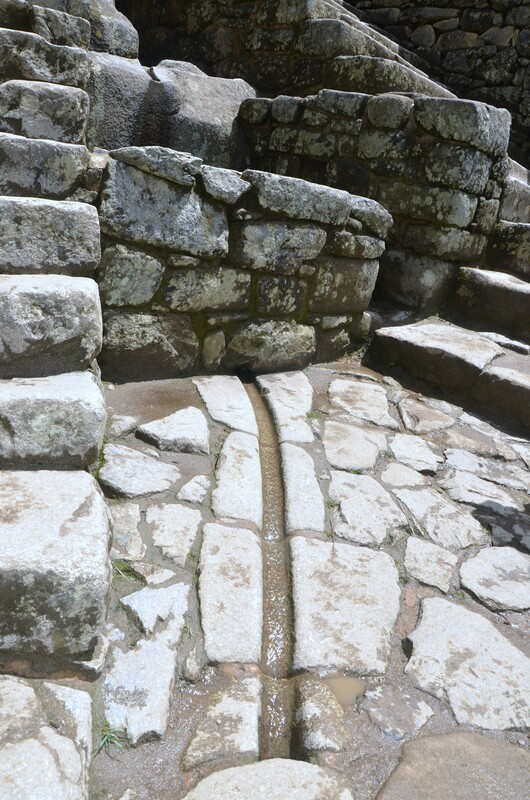 Of course equally amazing is their use of irrigation, the Incas were great masters of water systems These systems were primarily used for the irrigation of the agricultural terraces and for bringing fresh drinking water from fountains and clear mountain streams to the Inca cities. The aqueducts have been providing water during drought for centuries and they are still being utilized today. 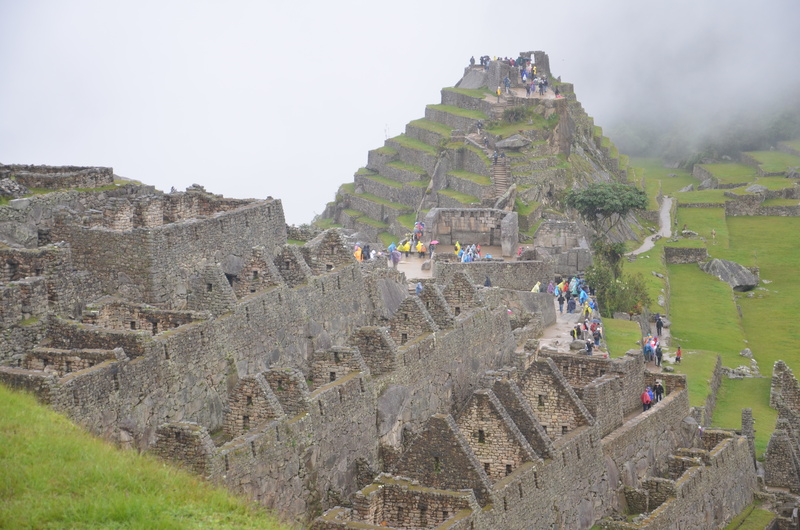 There are many ceremonial temples and sites at Machu Picchu. 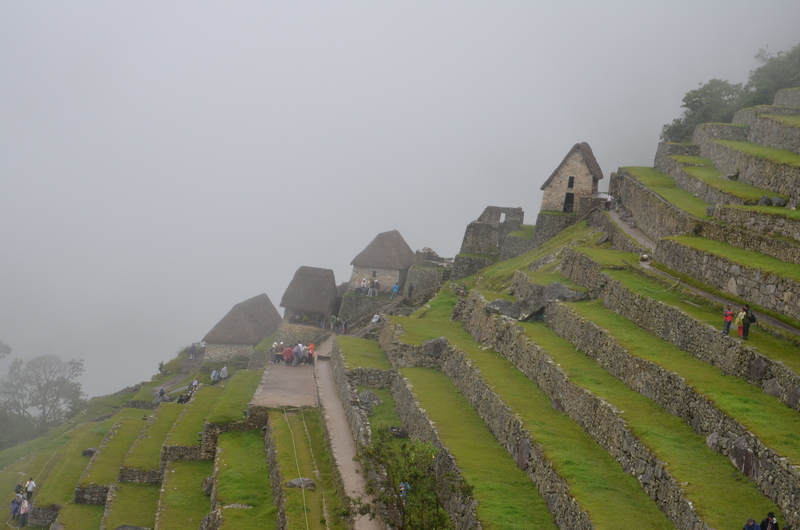 The Temple of the Sun was used to honor and celebrate Inti, the Sun, an important Incan deity (God). When the sun of the winter solstice enters through the central window, it falls directly on the large ceremonial stone. Can you imagine, building these perfect structures so the sun shines through at just the right time of year, And most significantly the sun dial correlating with the equinox to tell them exactly when to plant and prepare for the rainy season, mind boggling. When we could not take another step we decided to call it day and headed back down the winding road holding our breath until we safely arrived at the bottom. 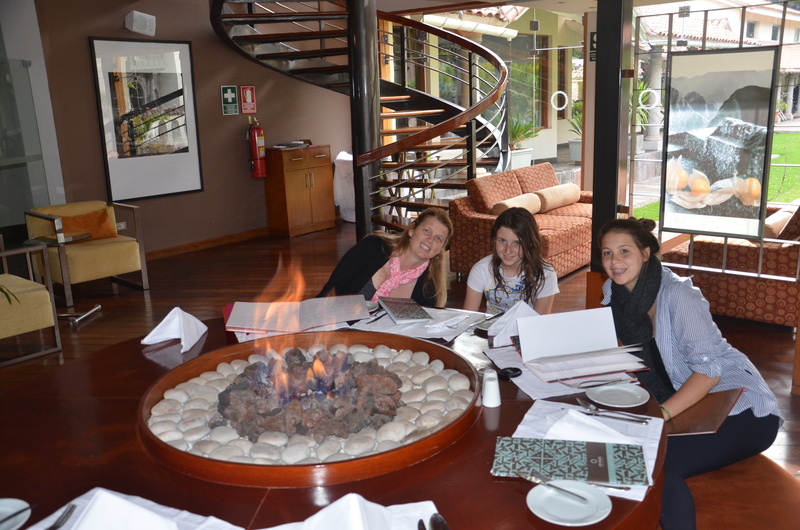 We decided to have a little snack at a local restaurant and listen to the amazing Peruvian Incan music. http://www.youtube.com/watch?v=nJbZTKg2n60 in regards to the attached you tube video, I misspoke when I indicated Hiram Bingham (credited with finding Machu Pichhu) was from Harvard, he is from Yale. 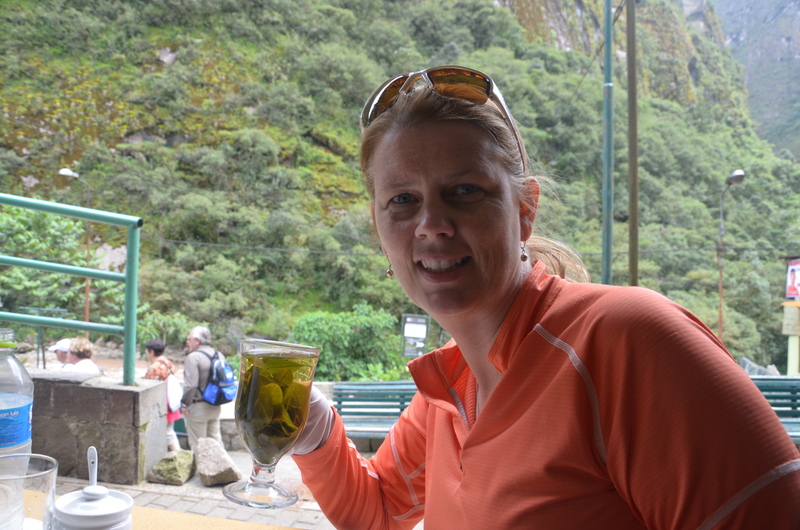 As the affects of altitude where getting to me, I had a healthy cup of cocoa tea. 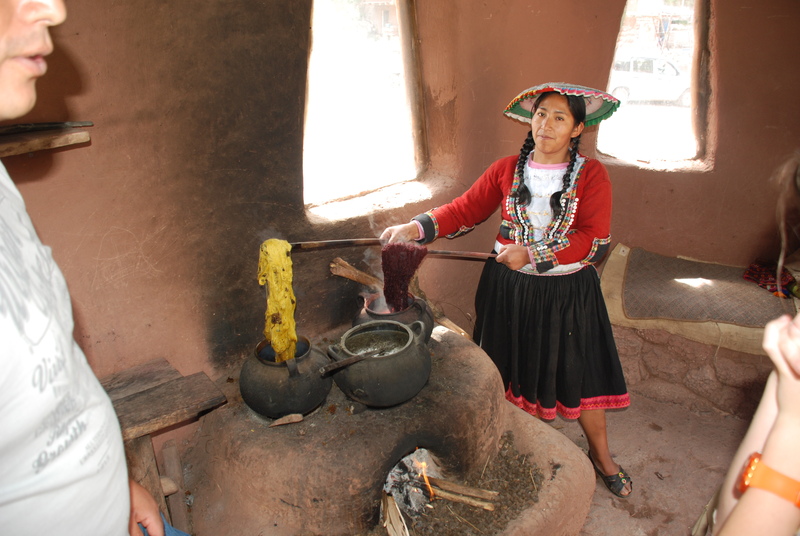 Cocoa is very prevalent in Peru, primarily as a effective tool against altitude sickness. Other medical uses of cocoa are as a stimulant to overcome fatigue, hunger, and thirst. We also learned it was often used as an anesthetic to alleviate the pain of headache and sores before stronger anesthetics were available. 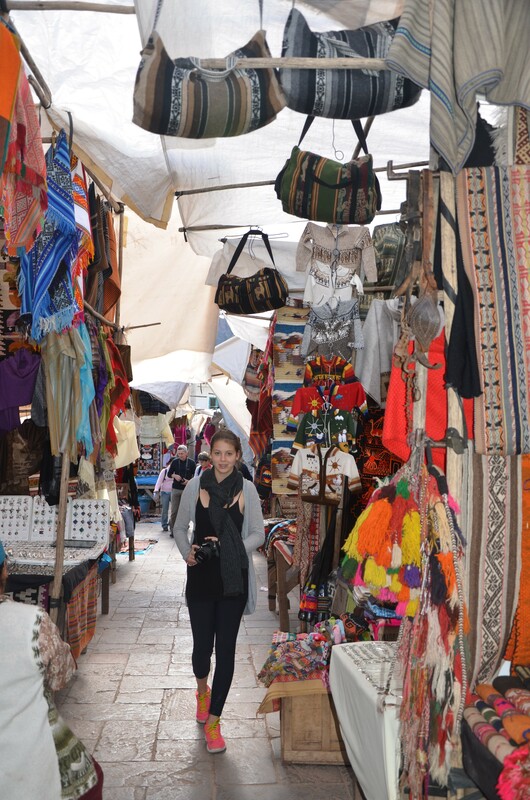 We stopped into the markets for a little shopping before literally hobbling into our oasis, that was the Inka Tera. I could have stayed there for a week. Somehow our travel agent managed an upgrade, sadly we were only there for one short night. 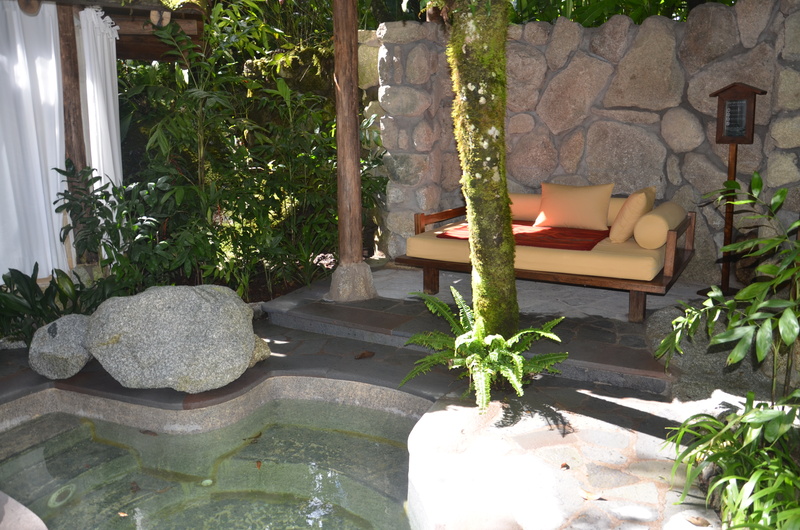 The girls enjoyed their hot tub, while Doug toured the property and I crashed and did not move an inch for hours. Dinner was equally impressive and we all went to bed very early as the plan was to be up at the Machu Picchu site again the next morning at 7:00a.m. and in line to start the Wayna Picchu climb. Some of us would make it on time for an experience of a lifetime, while others would find ourselves in line at the breakfast buffet.